In October 2018, a small group of ladies set out to explore the mystical wonderland of Bali. 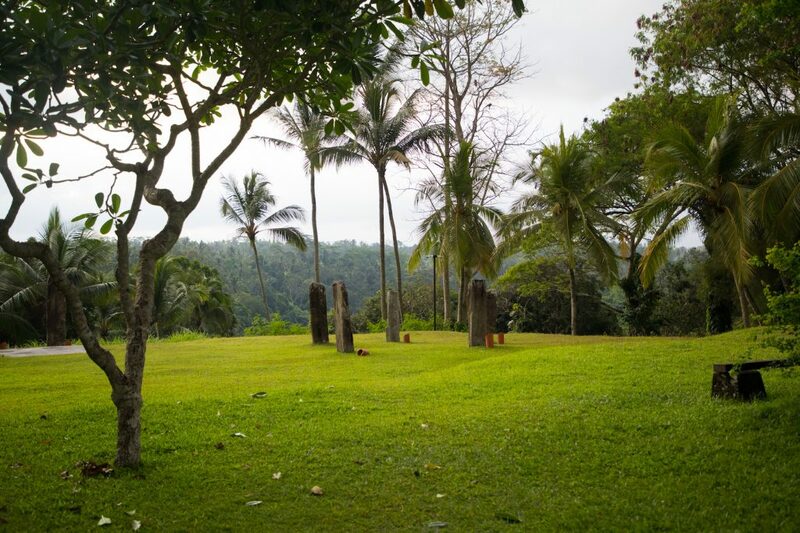 The Sojourn took place at the luxurious hillside retreat, Alila Ubud. Ubud means ‘medicine’, and this Sojourn was created for the ladies to soothe and renew their souls. Here’s a day-by-day recollection of the entire trip. 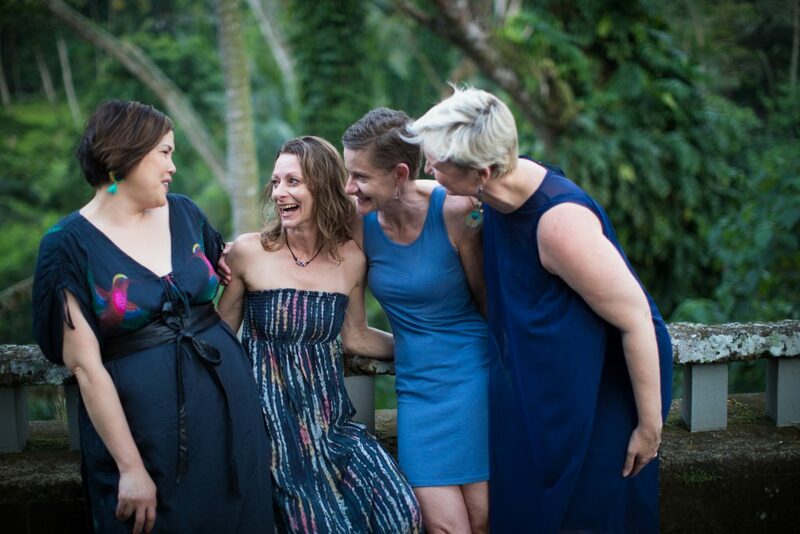 In the late afternoon all the ladies arrived at Alia Ubud which was our venue for the Sojourn. Once everyone had settled into their private eco-luxe accommodations, we met at the poolside lounge. The rest of the afternoon was spent sharing laughter and great conversation over cups of refreshing herbal tea and local Balinese sweets. As the evening drew to an end, we headed over to the stunning infinity pool. The head chef had prepared a special dinner for us. Under the gorgeous starlit night and dimly lit lamps, we pampered our taste buds with carefully-prepared delicacies. 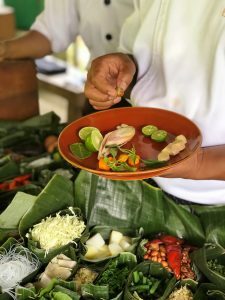 The menu included grilled chicken, quinoa curried, coriander with a honey dressing, seared barramundi, miso pumpkin, roasted eggplant, laksa paste, and radish salad. The Sensual Seed theme for the first day was ‘Surrender.’ What could have been a more beautiful place to learn lessons in surrender! Post breakfast, we met at the Sculpture Garden overlooking rice terraces and glorious mountain ranges. Each one of us received our very own oracle card and also a daily ‘Love Note’ that included questions to ponder about throughout the day. Later in the afternoon, we bonded over herbal tea and Balinese sweets by the infinity pool. Dinner was again an indulgent experience. This time we also enjoyed the traditional ‘Lion Barong’ dance with live Balinese music. Our theme for the second day was ‘Open.’ It was indeed time to open up to new experiences. To beat the heat, we made an early start for the Campuahn Ridge Walk. 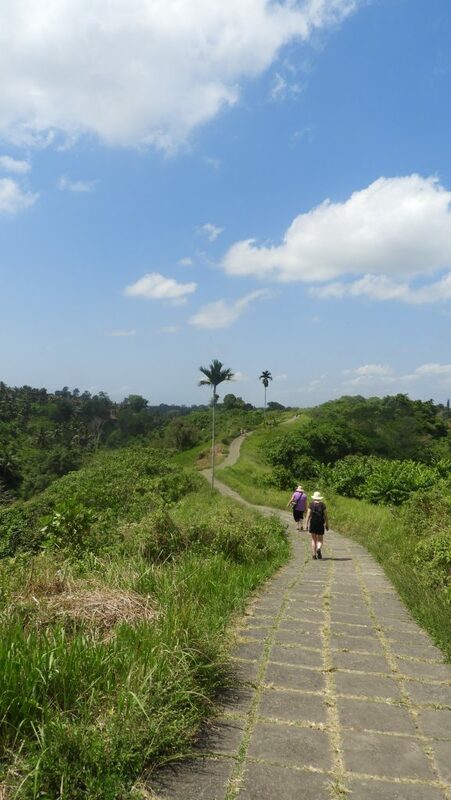 It is an easy walk of about 2km with breathtaking views of small villages and rice fields. Later, we stopped at the tranquil Karsa cafe for refreshments and more gorgeous views. 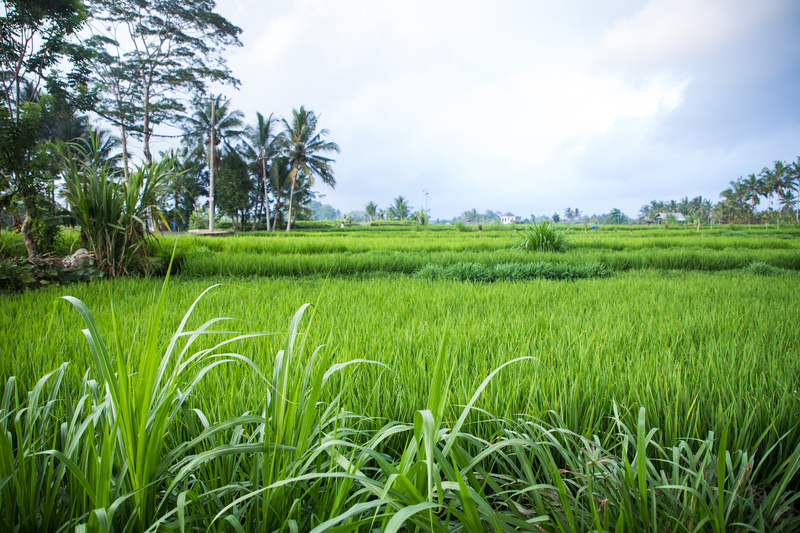 Some of the ladies decided to explore Ubud while the others returned to relax at the hotel. In the afternoon, we came together for a Balinese offering class where we learned how to make the traditional Canang Sari offerings (a ritual passed down from mother to daughter). This was followed by a dinner at the hotel restaurant, and the option to watch a movie at the open air, Starlight Cinema, under a blanket of stars. The Sensual Seed card for the day was ‘Ritual’ – urging us to enjoy rituals of self-love and self-care. Not surprisingly, we started the day with an indulgent 90-minute treatment at the Bliss Spa. 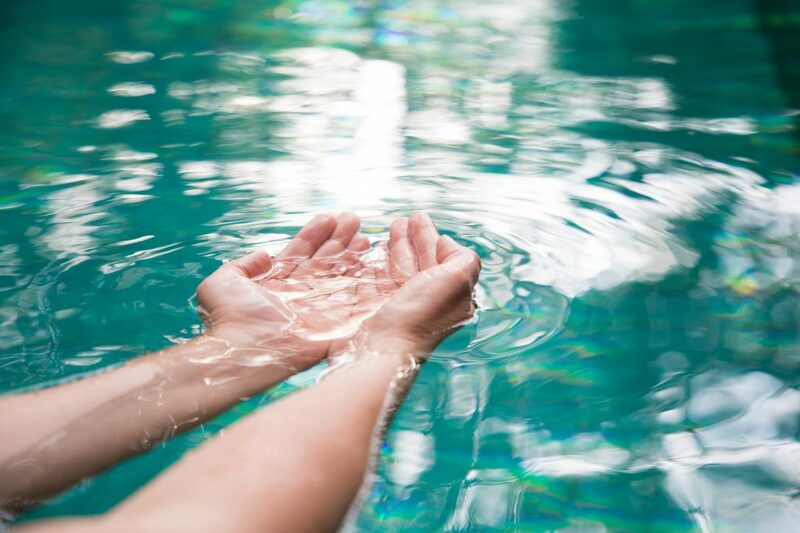 One of the ladies hadn’t had a massage in 30 years and during her treatment, she cried tears of happiness – the power of self-care to heal the soul! 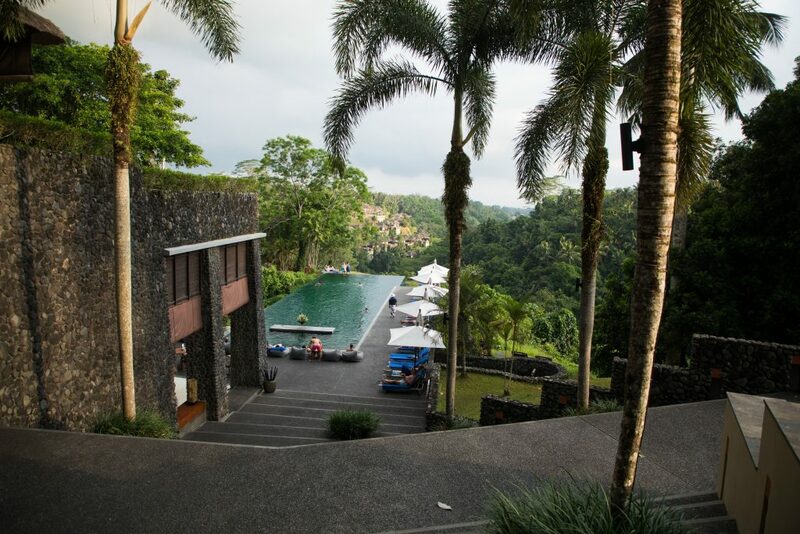 After the session, some of the ladies went back to the hotel and others ventured into Ubud. We came together in the afternoon for a hilariously uplifting laughter yoga class. This was followed by afternoon tea by the infinity pool where we also got to watch cute Balinese children from the local villages perform traditional dances. We ended the day with great conversation and another delectable dinner. The ‘Nourish’ card provided a perfect theme for a day that was spent exploring the glories of the ancient healing system, Ayurveda. This turned out to be a major highlight of the trip for all the ladies as they gleaned important insights into how to use food as medicine. 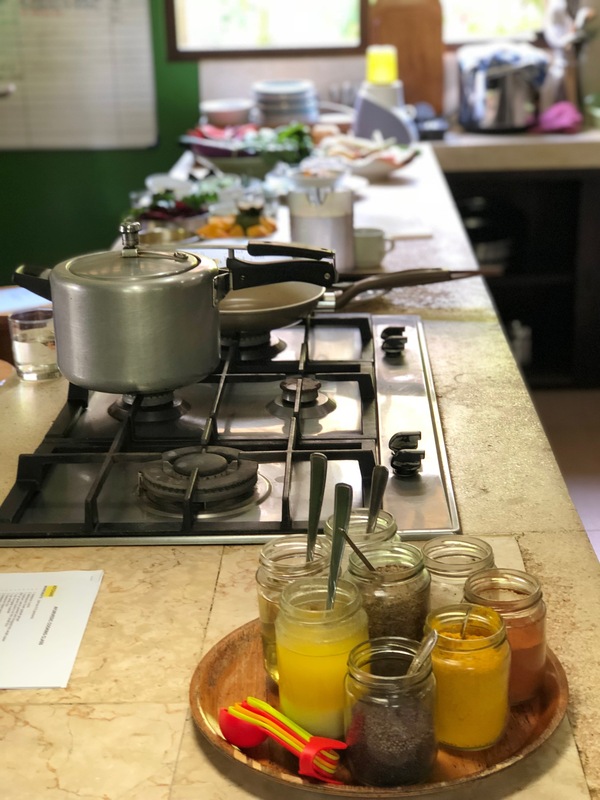 All of us participated in a cooking masterclass learning (and later enjoying) how to prepare delicious meals based on the principles of Ayurveda. Upon our return to the hotel, we decided to rest and reflect on the day. 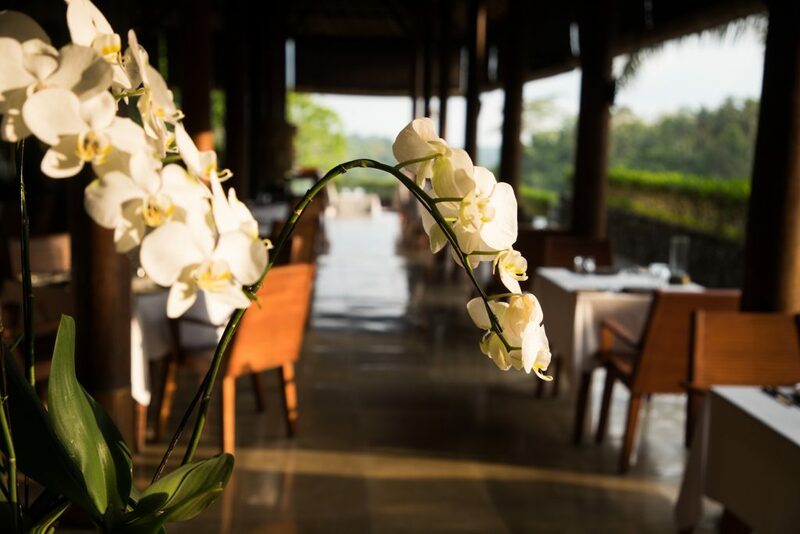 In the evening, we had dinner at a local plant-based restaurant called Zest which is situated on a hill with a welcoming and feminine vibe. The ‘Essence’ card showed up urging us to get in touch with our Truth. The day started with an indulgent 90-minute therapeutic massage session at Spa Alila. The rest of the day was left free so that everyone could do what their hearts most desired. In the afternoon, each of the ladies was captured by a local photographer in the lush surrounds as she embodied the essence of a Sensual Seed oracle card. It was definitely a fun experience that everyone loved. It also gave all the ladies a lovely memento to cherish for life. 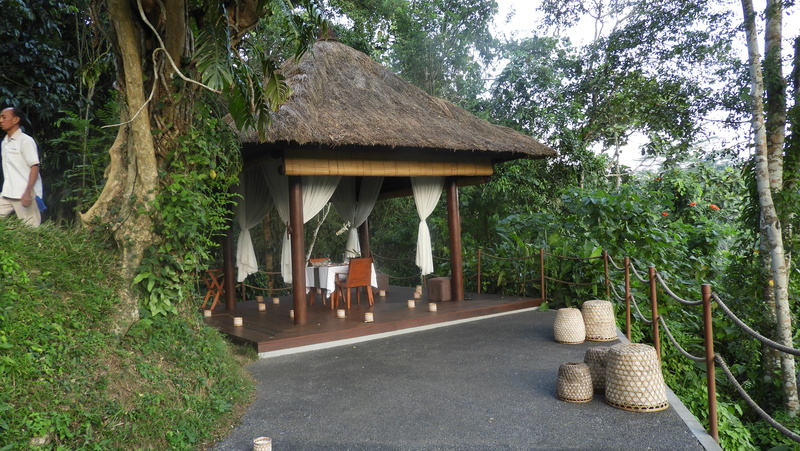 For our final dinner together, we went to a lovely place overlooking the jungle called the Bale Hut. The place was exquisite and our dinner there was one of the major highlights of the trip. We were treated like Queens. We indulged on the outstanding feast prepared by the executive chef, especially for our group. The menu included couscous, goat cheese, rocket lettuce, pine nuts, toasted coconut, pumpkin, tangerine and honey vinaigrette, braised short ribs with broccoli, spring onions, baby potato with garlic, and chili hoisin glaze. The end of the Sojourn was marked by the ‘Ignite’ card. 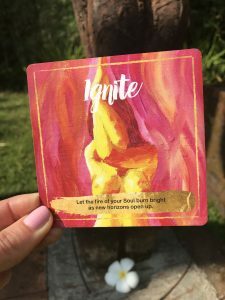 The message from the card read, “Let the fire of your Soul burn bright as new horizons open up.” Indeed, each one of us felt rejuvenated to make a fresh start in our lives – this time rooted in greater self-love and self-care. I started the day with a tai chi class in the Sculpture Garden while the other ladies were getting ready to leave. In the afternoon, we all said goodbye to one another with a heavy heart. As everyone left, I reflected upon all the joy and beauty we had experienced in the last few days. 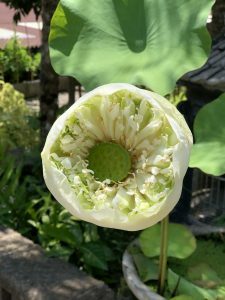 It would suffice to say that the experience affected and moved us deeply, touching our Sensual Seed – the very core of our being. 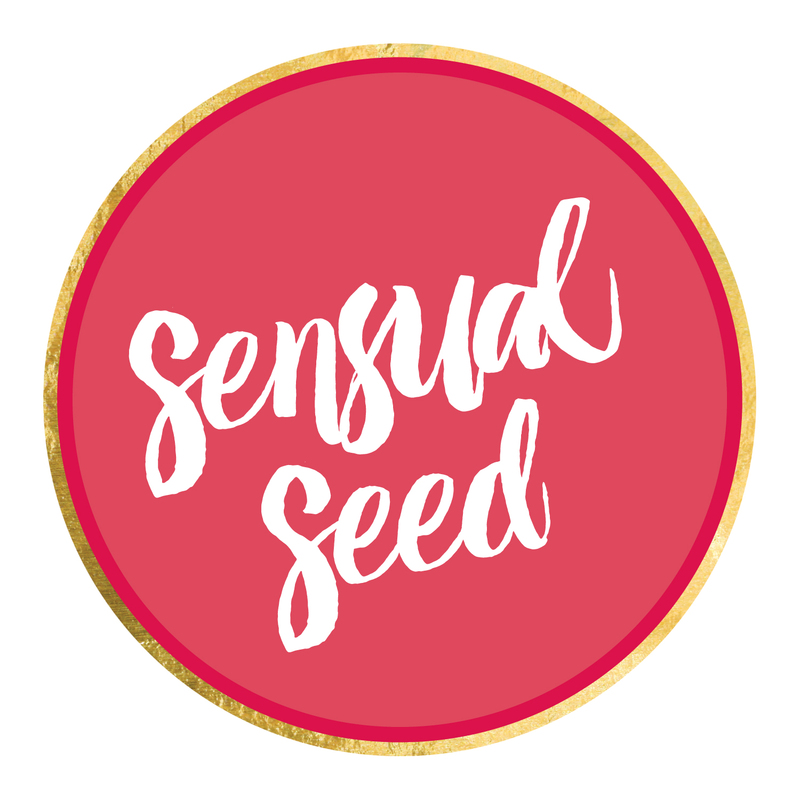 After all, this trip was all about getting to know our Sensual Seed and learning how to nourish it. I have opened the slots for next year’s Bali Sojourn. If you feel you missed something this year, then, be sure to book your place. This is a boutique experience with no more than 6 women, why not gift yourself this unique opportunity and claim your spot now!